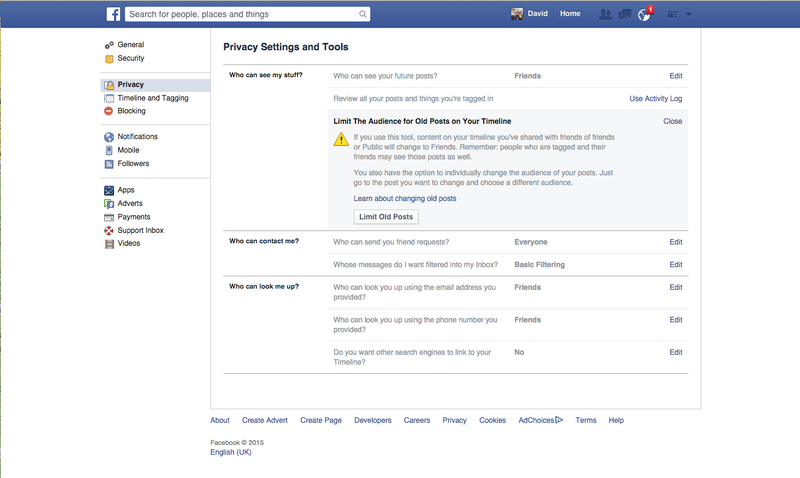 LOVE THY DESIGNER: Facebook Privacy - Are Your Old Posts Hidden? Having so much of your personal life online can be a bit daunting sometimes when you realise just how much information people can find out about you. I admit, I'm on so many social sites that you could piece together the history of my life if you looked hard enough (thankfully the Harry Potter film Director takes over the majority of the David Yates Google search results haha).